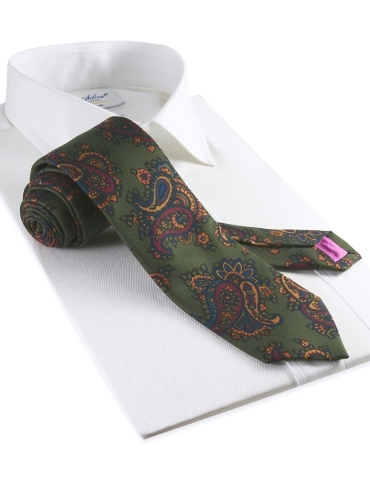 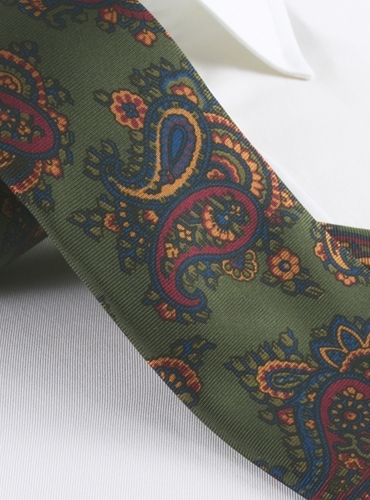 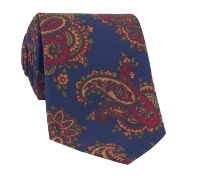 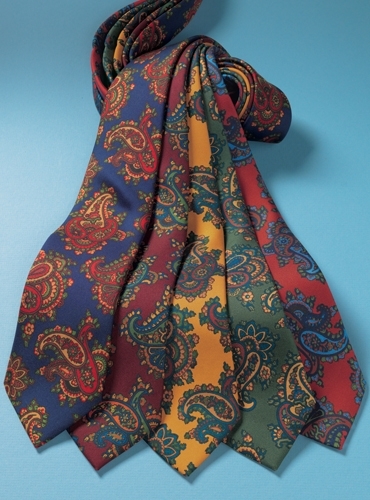 English printed silk neckwear with an elegant drape and a handsome paisley motif on five classic madder silk color grounds. 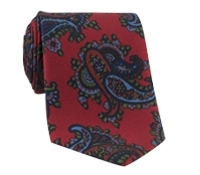 Shown here in D-fern. 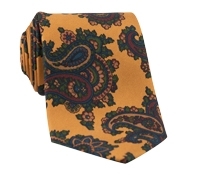 Also available in : A-navy; B-claret; C-marigold; E-cranberry.